Professor Eli Yablonovitch, of the University of California, Berkeley, speaks on “Can Opto-Electronics Provide the Motive Power for Future Vehicles?” as part of the 2015-2016 Highlight Seminar Series. A new scientific principle[i] has produced record-breaking solar cells. The 28.8% single-junction solar efficiency record, by Alta Devices[ii], was achieved by recognizing the importance of extracting luminescent emission. This is exemplified by the mantra: “A great solar cell also needs to be a great LED”. It was essential to remove the original semiconductor substrate, which absorbed luminescence, and to replace it with a high reflectivity mirror. The solar efficiency record crept up as the rear reflectivity behind the photovoltaic film was increased, 96% reflectivity — 97% — 98% luminescent reflectivity;– each produced a new world efficiency record. In thermo-photovoltaics, high energy photons from a thermal source are converted to electricity. The question is what to do about the majority of low energy infrared photons? It was recognized that the semiconductor band-edge itself can provide excellent spectral filtering for thermophotovoltaics, efficiently reflecting the unused infrared radiation back to the heat source. Exactly those low energy photons that fail to produce an electron-hole pair, are the photons that need to be recycled. Thus the effort to reflect band-edge luminescence in solar cells has serendipitously created the technology to reflect all infrared wavelengths, which can revolutionize thermo-photovoltaics. We have never before had such high rear reflectivity for sub-bandgap radiation, permitting step-function spectral control of the unused infrared photons for the first time. This enables conversion from heat[iii] to electricity with >50% efficiency. Such a lightweight “engine” can provide power to electric cars, aerial vehicles, spacecraft, homes, and stationary power plants. [iii] The heat source can be combustion, radio-activity, or solar thermal. Eli Yablonovitch is the Director of the NSF Center for Energy Efficient Electronics Science (E3S), a multi-University Center based at Berkeley. He received his Ph.D. degree in Applied Physics from Harvard University in 1972. He worked for two years at Bell Telephone Laboratories, and then became a professor of Applied Physics at Harvard. In 1979, he joined Exxon to do research on photovoltaic solar energy. Then in 1984, he joined Bell Communications Research, where he was a Distinguished Member of Staff, and also Director of Solid-State Physics Research. In 1992 he joined the University of California, Los Angeles, where he was the Northrop-Grumman Chair Professor of Electrical Engineering. Then in 2007, he became Professor of Electrical Engineering and Computer Sciences at UC Berkeley, where he holds the James & Katherine Lau Chair in Engineering. In his photovoltaic research, Professor Yablonovitch introduced the 4(n squared) light-trapping factor that is in worldwide use for almost all commercial solar panels. This factor increased the theoretical limits and practical efficiency of solar cells. 4n2 is based on statistical mechanics, and is sometimes called the “Yablonovitch Limit”. Based on his mantra “that a great solar cell needs to be a great LED”, his startup company Alta Devices has held the world record for solar cell efficiency since 2011, now 28.8%. Professor Yablonovitch introduced the idea that strained semiconductor lasers could have superior performance due to reduced valence band (hole) effective mass. Today, almost all semiconductor lasers use this concept, including for optical telecommunications, for DVD players, and in the ubiquitous red laser pointers. With almost every human interaction with the internet, optical telecommunication occurs by strained semiconductor lasers. 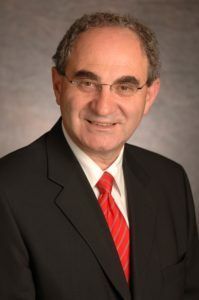 Professor Yablonovitch is regarded as a Father of the Photonic BandGap concept, and he coined the term “Photonic Crystal”. The geometrical structure of the first experimentally realized Photonic bandgap, is sometimes called “Yablonovite”. Professor Yablonovitch is elected as a Member of the National Academy of Engineering, the National Academy of Sciences, the American Academy of Arts & Sciences, and is a Foreign Member of the Royal Society of London. He has been awarded the Isaac Newton Medal of the UK Institute of Physics, the Rank Prize (UK), the Harvey Prize (Israel), the IEEE Photonics Award, the IET Mountbatten Medal (UK), the Julius Springer Prize (Germany), the R.W. Wood Prize, the W. Streifer Scientific Achievement Award, and the Adolf Lomb Medal. He also has an honorary Ph.D. from the Royal Institute of Technology, Stockholm, and the Hong Kong University of Science & Technology, and is honorary Professor at Nanjing University.